Panoramic Way, the northernmost street in Oakland, is well named. 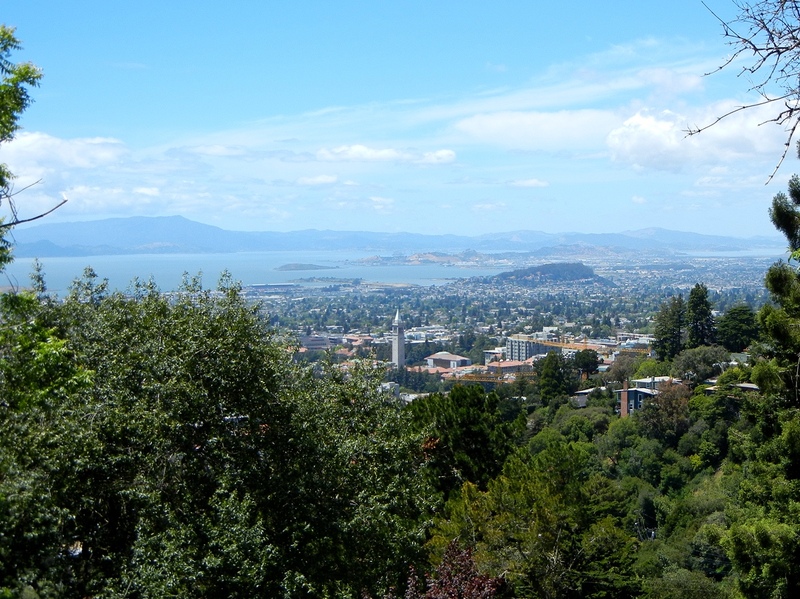 Here’s the view west from there, across the Cal campus, Albany Hill (El Cerrito), Point Richmond and eastern Marin County in late May. This was a beautiful summer, once it got started. Click the photo for the 1200 x 900 version. This entry was posted on 28 September 2011 at 10:26 am and is filed under Oakland geology views. You can follow any responses to this entry through the RSS 2.0 feed. You can skip to the end and leave a response. Pinging is currently not allowed.